Law Web: Whether courts at Mumbai have exclusive jurisdiction to regulate arbitration proceeding if mumbai is seat of arbitration? Whether courts at Mumbai have exclusive jurisdiction to regulate arbitration proceeding if mumbai is seat of arbitration? A conspectus of all the aforesaid provisions shows that the moment the seat is designated, it is akin to an exclusive jurisdiction clause. On the facts of the present case, it is clear that the seat of arbitration is Mumbai and Clause 19 further makes it clear that jurisdiction exclusively vests in the Mumbai courts. Under the Law of Arbitration, unlike the Code of Civil Procedure which applies to suits filed in courts, a reference to “seat” is a concept by which a neutral venue can be chosen by the parties to an arbitration clause. The neutral venue may not in the classical sense have jurisdiction – that is, no part of the cause of action may have arisen at the neutral venue and neither would any of the provisions of Section 16 to 21 of the CPC be attracted. In arbitration law however, as has been held above, the moment “seat” is determined, the fact that the seat is at Mumbai would vest Mumbai courts with exclusive jurisdiction for purposes of regulating arbitral proceedings arising out of the agreement between the parties. 21. It is well settled that where more than one court has jurisdiction, it is open for parties to exclude all other courts. For an exhaustive analysis of the case law, see Swastik Gases Private Limited v. Indian Oil Corporation Limited, (2013) 9 SCC 32. This was followed in a recent judgment in B.E. Simoese Von Staraburg Niedenthal and Another v. Chhattisgarh Investment Limited, (2015) 12 SCC 225. Having regard to the above, it is clear that Mumbai courts alone have jurisdiction to the exclusion of all other courts in the country, as the juridical seat of arbitration is at Mumbai. 2. The present appeals raise an interesting question as to whether, when the seat of arbitration is Mumbai, an exclusive jurisdiction clause stating that the courts at Mumbai alone would have jurisdiction in respect of disputes arising under the agreement would oust all other courts including the High Court of Delhi, whose judgment is appealed against. Arbitration: In case of any dispute or differences arising between parties out of or in relation to the construction, meaning, scope, operation or effect of this Agreement or breach of this Agreement, parties shall make efforts in good faith to amicably resolve such dispute. If such dispute or difference cannot be amicably resolved by the parties (Dispute) within thirty days of its occurrence, or such longer time as mutually agreed, either party may refer the dispute to the designated senior officers of the parties. If the Dispute cannot be amicably resolved by such officers within thirty (30) days from the date of referral, or within such longer time as mutually agreed, such Dispute shall be finally settled by arbitration conducted under the provisions of the Arbitration & Conciliation Act 1996 by reference to a sole Arbitrator which shall be mutually agreed by the parties. Such arbitration shall be conducted at Mumbai, in English language. The arbitration award shall be final and the judgment thereupon may be entered in any court having jurisdiction over the parties hereto or application may be made to such court for a judicial acceptance of the award and an order of enforcement, as the case may be. The Arbitrator shall have the power to order specific performance of the Agreement. Each Party shall bear its own costs of the Arbitration. It is hereby ‘agreed between the Parties that they will continue to perform their respective obligations under this Agreement during the pendency of the Dispute. 4. Disputes arose between the parties and a notice dated 25.9.2015 was sent by Respondent No.1 to the appellant. The notice stated that the appellant had been in default of outstanding dues of Rs.5 crores with interest thereon and was called upon to pay the outstanding dues within 7 days. Clause 18 of the Agreement was invoked by Respondent No.1, and one Justice H.R. Malhotra was appointed as the Sole Arbitrator between the parties. By a reply dated 15.10.2015, the appellant objected to the appointment of Justice Malhotra and asked Respondent No.1 to withdraw its notice. By a further reply dated 16.10.2015, the averments made in the notice were denied in toto. 5. Two petitions were then filed by Respondent No.1 – the first dated September 2015, under Section 9of the Arbitration and Conciliation Act, 1996 asking for various interim reliefs in the matter. By an order dated 22.9.2015, the Delhi High Court issued notice in the interim application and restrained the appellant from transferring, alienating or creating any third party interests in respect of the property bearing No.281, TK Road, Alwarpet, Chennai-600018 till the next date of hearing. By an application dated 28.10.2015, Respondent No.1 filed a Section 11 petition to appoint an Arbitrator. 6. Both applications were disposed of by the impugned judgment. First and foremost, it was held by the impugned judgment that as no part of the cause of action arose in Mumbai, only the courts of three territories could have jurisdiction in the matter, namely, Delhi and Chennai (from and to where goods were supplied), and Amritsar (which is the registered office of the appellant company). The court therefore held that the exclusive jurisdiction clause would not apply on facts, as the courts in Mumbai would have no jurisdiction at all. It, therefore, determined that Delhi being the first Court that was approached would have jurisdiction in the matter and proceeded to confirm interim order dated 22.9.2015 and also proceeded to dispose of the Section 11 petition by appointing Justice S.N. Variava, retired Supreme Court Judge, as the sole Arbitrator in the proceedings. The judgment recorded that the conduct of the arbitration would be in Mumbai. 7. Learned counsel on behalf of the appellant has assailed the judgment of the Delhi High Court, stating that even if it were to be conceded that no part of the cause of action arose at Mumbai, yet the seat of the arbitration being at Mumbai, courts in Mumbai would have exclusive jurisdiction in all proceedings over the same. According to him, therefore, the impugned judgment was erroneous and needs to be set aside. 8. In opposition to these arguments, learned counsel for Respondent No.1 sought to support the judgment by stating that no part of the cause of action arose in Mumbai. This being the case, even if the seat were at Mumbai, it makes no difference as one of the tests prescribed by the Civil Procedure Code, 1908, to give a court jurisdiction must at least be fulfilled. None of these tests being fulfilled on the facts of the present case, the impugned judgment is correct and requires no interference. 20. Place of arbitration. – (1) The parties are free to agree on the place of arbitration. (3) Notwithstanding sub-section (1) or sub-section (2), the arbitral tribunal may, unless otherwise agreed by the parties, meet at any place it considers appropriate for consultation among its members, for hearing witnesses, experts or the parties, or for inspection of documents, goods or other property. “20. Place of arbitration.—(1) The parties are free to agree on the place of arbitration. (3) Notwithstanding sub-section (1) or sub-section (2), the Arbitral Tribunal may, unless otherwise agreed by the parties, meet at any place it considers appropriate for consultation among its members, for hearing witnesses, experts or the parties, or for inspection of documents, goods or other property.” A plain reading of Section 20 leaves no room for doubt that where the place of arbitration is in India, the parties are free to agree to any “place” or “seat” within India, be it Delhi, Mumbai, etc. In the absence of the parties' agreement thereto, Section 20(2) authorises the tribunal to determine the place/seat of such arbitration. Section 20(3) enables the tribunal to meet at any place for conducting hearings at a place of convenience in matters such as consultations among its members for hearing witnesses, experts or the parties. The fixation of the most convenient “venue” is taken care of by Section 20(3). Section 20, has to be read in the context of Section 2(2), which places a threshold limitation on the applicability of Part I, where the place of arbitration is in India. Therefore, Section 20 would also not support the submission of the extra-territorial applicability of Part I, as canvassed by the learned counsel for the appellants, so far as purely domestic arbitration is concerned. 14. This Court reiterated that once the seat of arbitration has been fixed, it would be in the nature of an exclusive jurisdiction clause as to the courts which exercise supervisory powers over the arbitration. (See: paragraph 138). 15. In Reliance Industries Ltd. v. Union of India, (2014) 7 SCC, 603, this statement of the law was echoed in several paragraphs. This judgment makes it clear that “juridical seat” is nothing but the “legal place” of arbitration. It was held that since the juridical seat or legal place of arbitration was London, English courts alone would have jurisdiction over the arbitration thus excluding Part I of the Indian Act. (See: paragraphs 36, 41, 45 to 60 and 76.1 and 76.2). This judgment was relied upon and followed by Harmony Innovation Shipping Limited v. Gupta Coal India Limited and Another, (2015) 9 SCC 172 (See: paragraphs 45 and 48). In Union of India v. Reliance Industries Limited and Others, (2015) 10 SCC 213, this Court referred to all the earlier judgments and held that in cases where the seat of arbitration is London, by necessary implication Part I of the Arbitration and Conciliation Act, 1996 is excluded as the supervisory jurisdiction of courts over the arbitration goes along with “seat”. “It is also sometimes said that parties have selected the procedural law that will govern their arbitration, by providing for arbitration in a particular country. This is too elliptical and, as an English court itself held more recently in Breas of Doune Wind Farm it does not always hold true. What the parties have done is to choose a place of arbitration in a particular country. That choice brings with it submission to the laws of that country, including any mandatory provisions of its law on arbitration. To say that the parties have “chosen” that particular law to govern the arbitration is rather like saying that an English woman who takes her car to France has “chosen” French traffic law, which will oblige her to drive on the right-hand side of the road, to give priority to vehicles approaching from the right, and generally to obey traffic laws to which she may not be accustomed. But it would be an odd use of language to say this notional motorist had opted for “French traffic law”. What she has done is to choose to go to France. The applicability of French law then follows automatically. It is not a matter of choice. “40. The Supreme Court in BALCO decided that Parts I and II of the Act are mutually exclusive of each other. The intention of Parliament that the Act is territorial in nature and sections 9 and 34 will apply only when the seat of arbitration is in India. The seat is the “centre of gravity” of arbitration, and even where two foreign parties arbitrate in India, Part I would apply and, by 24 virtue of section 2(7), the award would be a “domestic award”. 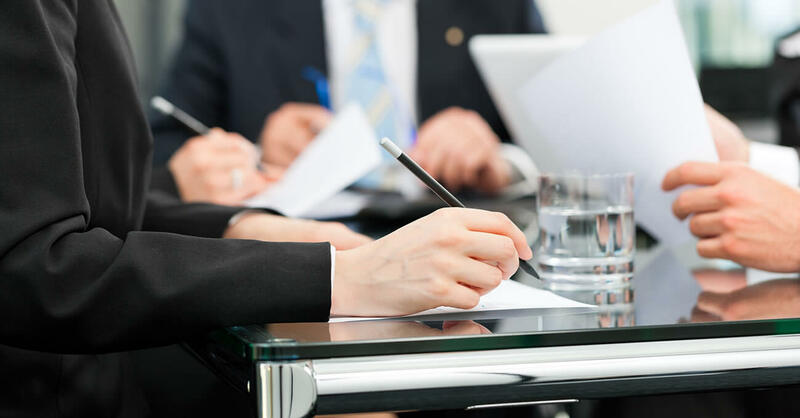 The Supreme Court recognized the “seat” of arbitration to be the juridical seat; however, in line with international practice, it was observed that the arbitral hearings may take place at a location other than the seat of arbitration. The distinction between “seat” and “venue” was, therefore, recognized. In such a scenario, only if the seat is determined to be India, Part I would be applicable. If the seat was foreign, Part I would be inapplicable. Even if Part I was expressly included “it would only mean that the parties have contractually imported from the Arbitration Act, 1996, those provisions which are concerned with the internal conduct of their arbitration and which are not inconsistent with the mandatory provisions of the [foreign] Procedural Law/Curial Law.” The same cannot be used to confer jurisdiction on an Indian Court. However, the decision in BALCO was expressly given prospective effect and applied to arbitration agreements executed after the date of the judgment. 41. While the decision in BALCO is a step in the right direction and would drastically reduce judicial intervention in foreign arbitrations, the Commission feels that there are still a few areas that are likely to be problematic. (i) Where the assets of a party are located in India, and there is a likelihood that that party will dissipate its assets in the near future, the other party will lack an efficacious remedy if the seat of the arbitration is abroad. The latter party will have two possible remedies, but neither will be efficacious. First, the latter party can obtain an interim order from a foreign Court or the arbitral tribunal itself and file a civil suit to enforce the right created by the interim order. The interim order would not be enforceable directly by filing an execution petition as it would not qualify as a “judgment” or “decree” for the purposes of sections 13 and 44A of the Code of Civil Procedure (which provide a mechanism for enforcing foreign judgments). Secondly, in the event that the former party does not adhere to the terms of the foreign Order, the latter party can initiate proceedings for contempt in the foreign Court and enforce the judgment of the foreign Court under sections 13 and 44A of the Code of Civil Procedure. Neither of these remedies is likely to provide a 25 practical remedy to the party seeking to enforce the interim relief obtained by it. That being the case, it is a distinct possibility that a foreign party would obtain an arbitral award in its favour only to realize that the entity against which it has to enforce the award has been stripped of its assets and has been converted into a shell company. (ii) While the decision in BALCO was made prospective to ensure that hotly negotiated bargains are not overturned overnight, it results in a situation where Courts, despite knowing that the decision in Bhatia is no longer good law, are forced to apply it whenever they are faced with a case arising from an arbitration agreement executed pre-BALCO. 12.In section 20, delete the word “Place” and add the words “Seat and Venue” before the words “of arbitration”. (ii) In sub-section (3), after the words “meet at any” delete the word “place” and add word “venue”. 19. The amended Act, does not, however, contain the aforesaid amendments, presumably because the BALCO judgment in no uncertain terms has referred to “place” as “juridical seat” for the purpose ofSection 2(2) of the Act. It further made it clear that Section 20(1) and 20 (2) where the word “place” is used, refers to “juridical seat”, whereas in Section 20 (3), the word “place” is equivalent to “venue”. This being the settled law, it was found unnecessary to expressly incorporate what the Constitution Bench of the Supreme Court has already done by way of construction of the Act. 20. A conspectus of all the aforesaid provisions shows that the moment the seat is designated, it is akin to an exclusive jurisdiction clause. On the facts of the present case, it is clear that the seat of arbitration is Mumbai and Clause 19 further makes it clear that jurisdiction exclusively vests in the Mumbai courts. Under the Law of Arbitration, unlike the Code of Civil Procedure which applies to suits filed in courts, a reference to “seat” is a concept by which a neutral venue can be chosen by the parties to an arbitration clause. The neutral venue may not in the classical sense have jurisdiction – that is, no part of the cause of action may have arisen at the neutral venue and neither would any of the provisions of Section 16 to 21 of the CPC be attracted. In arbitration law however, as has been held above, the moment “seat” is determined, the fact that the seat is at Mumbai would vest Mumbai courts with exclusive jurisdiction for purposes of regulating arbitral proceedings arising out of the agreement between the parties. 21. It is well settled that where more than one court has jurisdiction, it is open for parties to exclude all other courts. For an exhaustive analysis of the case law, see Swastik Gases Private Limited v. Indian Oil Corporation Limited, (2013) 9 SCC 32. This was followed in a recent judgment in B.E. Simoese Von Staraburg Niedenthal and Another v. Chhattisgarh Investment Limited, (2015) 12 SCC 225. Having regard to the above, it is clear that Mumbai courts alone have jurisdiction to the exclusion of all other courts in the country, as the juridical seat of arbitration is at Mumbai. This being the case, the impugned judgment is set aside. The injunction confirmed by the impugned judgment will continue for a period of four weeks from the date of pronouncement of this judgment, so that the respondents may take necessary steps under Section 9 in the Mumbai Court. Appeals are disposed of accordingly. (PINAKI CHANDRA GHOSE ) …….…………………………… J.